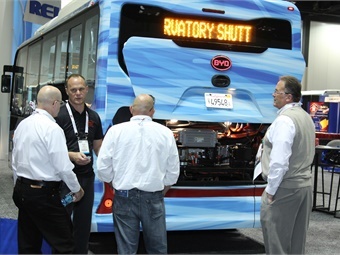 BusCon Connect is a pilot program taking place at BusCon on Sept. 19 to 21, 2016 in Indianapolis aimed at connecting transit bus, paratransit, shuttle bus and coach operators with exhibiting suppliers. Full scholarships are available for a select group of VIP buyers to attend BusCon and engage in one-on-one meetings and exclusive networking functions with suppliers. 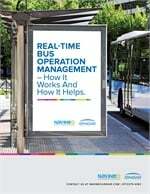 “BusCon Connect is a great way for bus operators to keep up with the latest technology and vehicles on the market and maximize efficiency by spending quality time with solutions providers. 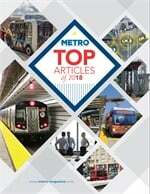 The scholarship takes away financial constraints and is part of our strategy to grow BusCon’s attendance,” said James Blue, GM of BusCon and METRO Magazine. Operators who are interested in taking part can visit here to apply. Applications must be received by July 8. For more information contact Martine Rouzan at (310) 533-2445. For sponsorship information, visit here or contact James Blue at (310) 533-2449.